Groucho Marx said “These are my principles, and if you don’t like them, well… I have others.” In this video I outline a number of principles of best practice when we are working with risk. Podcast Episode 076: What is solution focused therapy? Solution Focused Therapy has been established in the US since the early 1970’s, but didn’t make an impact in Europe until the mid to late 1980’s. In this episode I examine the strengths credentials of this approach, with reference to its underlying core principles, the therapeutic roles of clients and practitioners, and its therapeutic approach underpinned by specific lines of inquiry. Discover the secrets of the ‘miracle question’. “Every great and deep difficulty bears in itself its own solution. It forces us to change our thinking in order to find it.” [Niels Bohr]. Podcast Episode 073: What is appreciative inquiry? AI is more frequently known as Artificial intelligence, but in the context of organisational change I am focusing this episode on Appreciative Inquiry. But, apart from the simple assumption of showing some appreciation to another person, what is it? David Cooperrider and colleagues have claimed this to be a uniquely strengths-based approach to the leadership and management of organisational change; and also that strengths-based management may just be the management innovation of our time! However, the concept of change does not sit easily with everyone; for one thing, it can give the impression that there is never enough time to implement some seriously good ideas before the next management initiative is passed down. In this episode I outline the strengths credentials of Appreciative Inquiry, its 4-dimensional cycle, as well as the 5 principles and 6 essential conditions for it to occur. It may require skilled facilitation by a trained practitioner, but it also offers all of us a positive language to adopt and apply to our own thinking about the organisations we presently inhabit. “A well designed system filled with ordinary but well-trained people can still achieve consistently high performance; whereas a badly designed system can make a genius look like an idiot.” [Pfeffer and Sutton]. In this episode a couple of recent newspaper articles reflect on the malaise of the management culture in two UK world class institutions… the NHS and BBC. Damning reports into the culture of management in the NHS are being withheld until after the imminent general election, where the description of the sturcture is described as ‘totally shocking’ and ‘not fit for purpose’. Could this be the very structure that was re-structured against previous manifesto promises by the Tory led government initiative? Meanwhile, over at the BBC it would appear that investigative journalists who blow the whistle on previous BBC celebs for child abuse scandals, are themselves demoted and sidelined, while the bullies are promoted! Great institutions are created from lofty principles and values, but it would appear that by a process of evolution the management function gradually grows into a misguided sense of its own self-importance. Bureaucracy becomes top heavy, unmanageable, and filled with overpaid people who have little understanding or connection with the true heart of the enterprise. There is no simple solution to a malignacy decades in the incubation; but we must continue to respect our world class institutions for their founding principles and uphold their core values as theur main purpose. “Bureaucracy is a giant mechanism operated by pygmies.” [Honore de Balzac]. Good teamworking, as with so many things, is easily stated and claimed, but not always so easily evidenced. Bringing people together under the name of a specific ‘team’ doesn’t necessarily mean that they function as a true team. 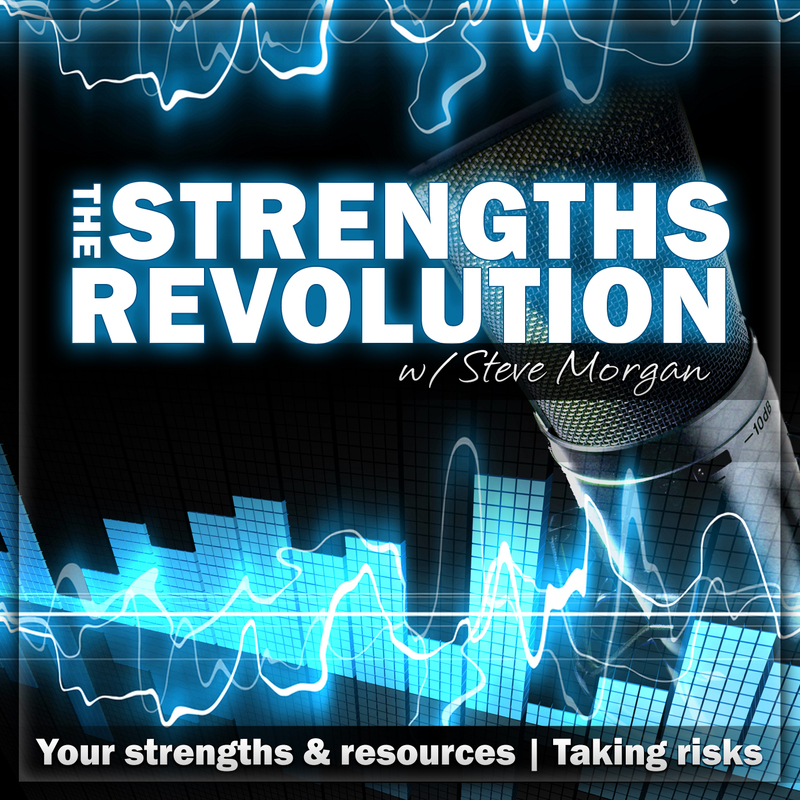 From a strengths perspective, Steve Morgan offers a taxonomy of strengths focused teams… looking at three different levels in relation to the degree of strengths thinking and working that are incorporated into routine teamworking. He further develops the analysis of teamworking through outlining six principles of strengths-based teams… adapted from the original strengths principles focused on how we work with service users or clients. It is recognised that in any given team there will be individuals who function at different levels in relation to strengths-based principles and practice; however, the extensive Gallup organisation research invites us to improve our overall effectiveness and value by focusing more in a strengths way of working. “With an enthusiastic team you can achieve almost anything.” [Tahir Shah]. This episode highlights the importance of reflecting on these largely unseen influences on everything we think, we do, we decide, they inform our core beliefs, they are the sum of who we are. Nothing more than that! So, if they have such a significant influence we would be well advised to be more aware of what they are. They come dressed up in almost endless lists of good words, but this episode argues for spending more time examining the impact they have on the ways we behave and act in particular situations. Steve Morgan poses a series of questions to help us explore our underlying values, offering examples from his own experiences by way of illustration. Core personal and corporate values are contrasted, and examples are identified of where conflicting values can contribute to better decisions, or even disasters. As a strengths approach, the examination of values is one way of demonstrating how we are putting genuine person-centred practice into action. “Living in a way that reflects one’s values is not just about what you do, it is also about how you do things.” [Deborah Day].